We try to limit the girls exposure to TV.An elder relative of the Frenchman’s told us all about a recent report in France where it’s been found that children should not be shown TV before the age of 3.I don’t think a little TV is all bad-Mini has learned to count and to differentiate her colours from the old goggle box and as a visual leaner I think it’s a great medium for educating her little mind. We don’t want a mindless zombie for a daughter,however, so we do try and keep TV to a minimum. This Monday was an exception as she was laid low with a nasty vomiting bug that had her flattened. In between the obligatory Frozen reruns (insert obligatory Let It Go joke here! )I decided to see what Netflix had to offer. Mini loves music so I had a search to see what was on offer that had a beat. We started off with some Barney and Friends Sing and Dance which had the sick patient tapping her toes to the rhythm of the songs. The scenes may be dated but the music and nursery rhymes are still great for little ones. We also discovered Bo-she’s a brightly animated little girl who gets her energy from the .The more you move,the more energy she gets and the more adventures you both will have. With the two little patients in bed,I didn’t have much desire to do much apart from flopping down on the couch. 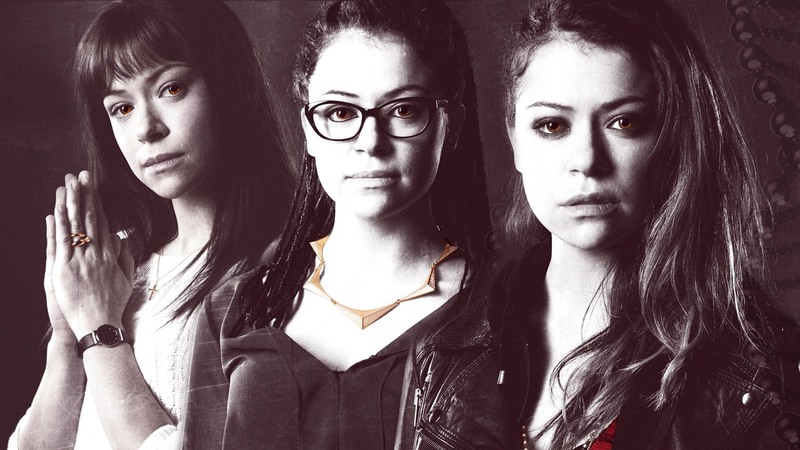 I discovered Canadian science fiction show,Orphan Black. It’s a slick piece of programming that starts with a supposed suicide. Sarah is back in the city after a ten month absence with plans to regain custody of her young daughter. When she witnesses the suicide of her doppelgänger in a train station, she decides to assume the dead woman’s identity but never imagines what kind of dangerous, alternative world will open up for her a result. The lead actress, Tatiana Maslany is fantastic. She plays a multitude of roles from a stressed out soccer mom to a drifter to a brainy scientist and she makes it completely believable. It’s a fast paced drama with enough twists and turns to get you really hooked. Death is also the protagonist in another show I discovered but one that could not be more different. Dead Like Me is a humorous drama concerning the (un) lives of the Reapers-human beings who have died and now spend their time on earth shepherding souls to their final destination. George is only 18 when her admittedly dull life is brought to a dramatic end courtesy of a falling toilet seat from the international space station. She soon finds out that being dead can be just as tedious as being alive. Dead Like Me is a very funny,warm,touching and engaging series featuring one of my favourite actors,Mandy Patinkon. Definitely recommended! I am a part of the Netflix Stream Team and received an Apple TV and a years Netflix subscription in exchange for reviews on Netflix programmes.However,as always,all opinions remain my own honest ones.